Great gift with Positive message. 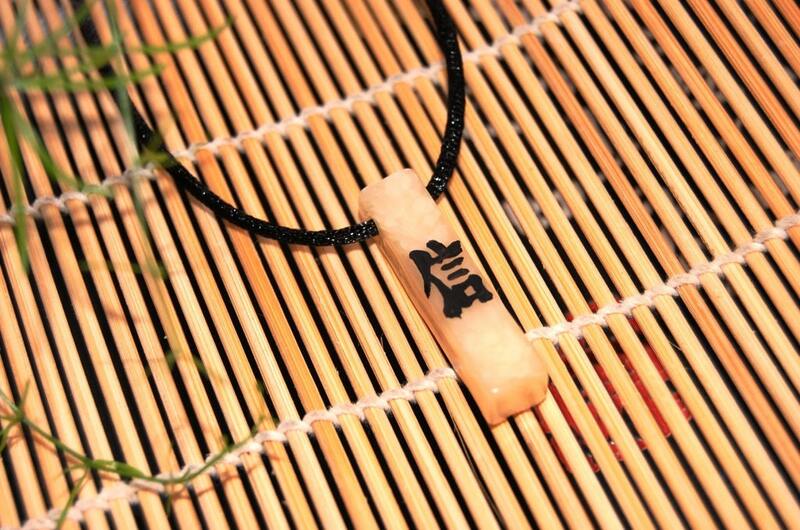 信-Faith-Japanese on Shiny Ivory colored pendant top about 1 1/2~1 1/3 inch x 1/3 inch . 1 yard silky strings adjustable as chocker. If you contact me to specify the length you would like it I will custom fit it for you. 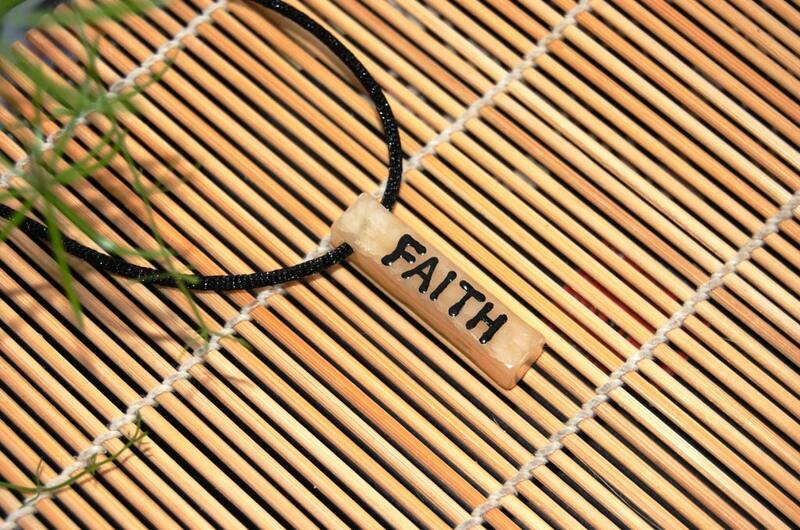 This necklace would great Gift for Birthday for Men and Women. The necklace comes packaged in a Japanese Origami paper gift envelope hand made by me, making it a great gift for any occasion! Please feel free to ask of shipping information for outside of USA.